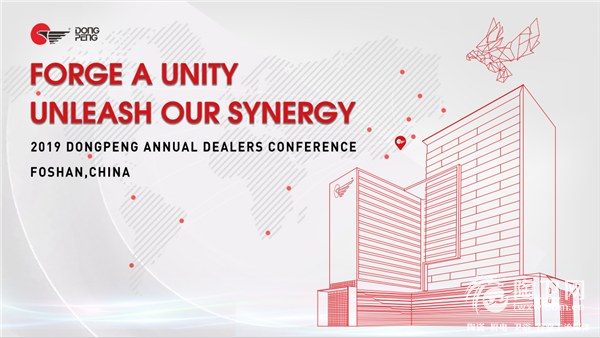 From January 21st to January 23rd, Dongpeng International Annual Conference 2019 was held in Foshan city, Guangdong province, China, where is the beginning of Dongpeng’s expansion to the world. 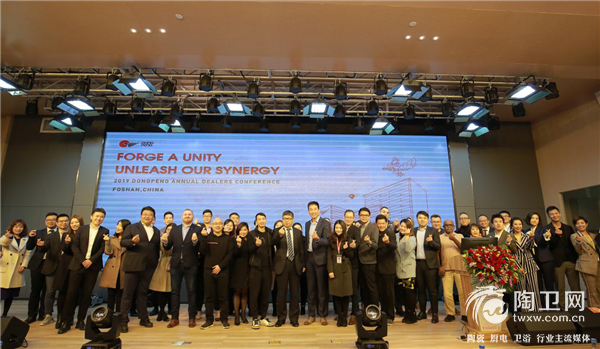 Centering on the theme of “Forge a unity, Unleash our synergy”, numerous Dongpeng overseas distributors around the world gathered together to share the joyful news of the relocation of Dongpeng headquarters and to have a profound discussion on the issue of further development. 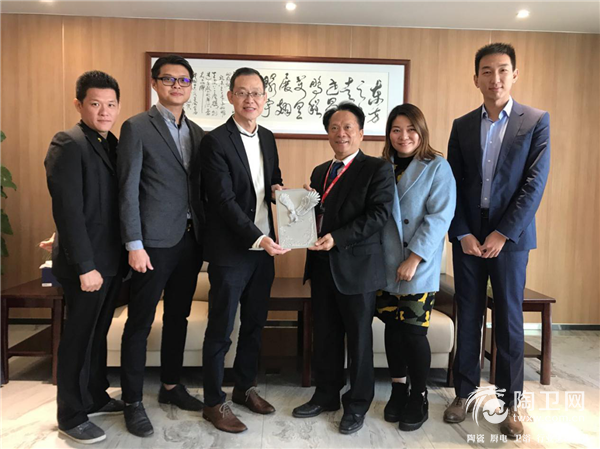 The past year has witnessed the deepening cooperation between Dongpeng and its overseas distributors, for which both of them could have a steady development and ensure the achievement of a win-win target. As the Great Brand of Ceramic Industry in China, Dongpeng takes the longstanding Chinese ceramic culture as its basis, serving as an important foundation of leading the ceramic industry trend all the time. It is expected Dongpeng would quicken its pace of overseas business and make greater progress in the following years. 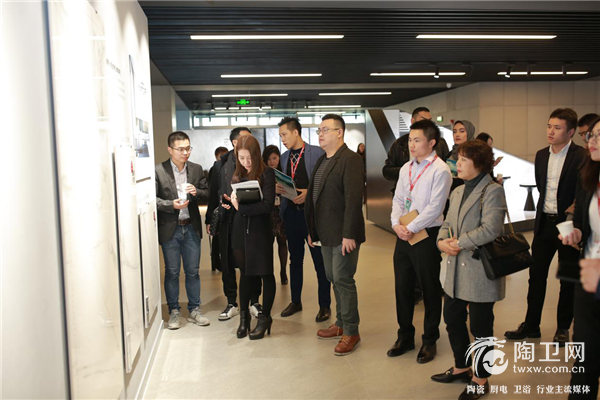 Beijing time 22nd January, 2019, the conference started at 9:00 am, in Dongpeng’s new headquarters that comes into use recently. It is worth mentioning that it was the first time for overseas distributors to visit Dongpeng’s new home. 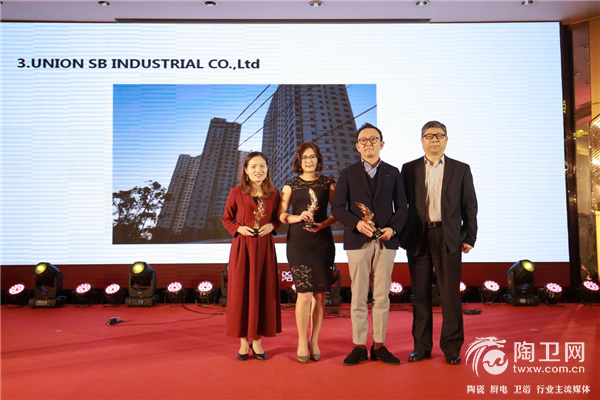 Selecting Dongpeng’s birthplace,Foshan city, as the annual conference venue, also provided an excellent opportunity for Dongpeng to show the distributors its robust enterprise strength and trend-setting products. 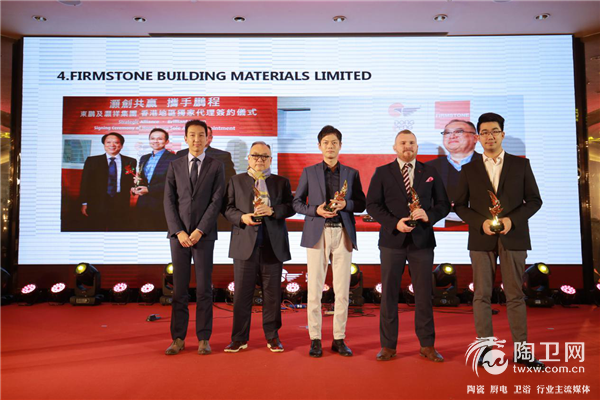 Mr. Wu Wenxin, the president of Dongpeng Tiles Division, also attended this annual conference. 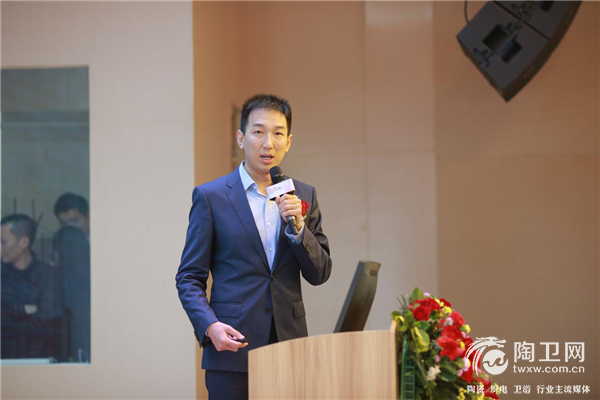 After the emcee’s opening words, audience applauded enthusiastically to welcome Martin Wang, the General Manager of Dongpeng International Business Department,to deliver the speech about the achievements obtained in the past year and the business outlook in 2019. 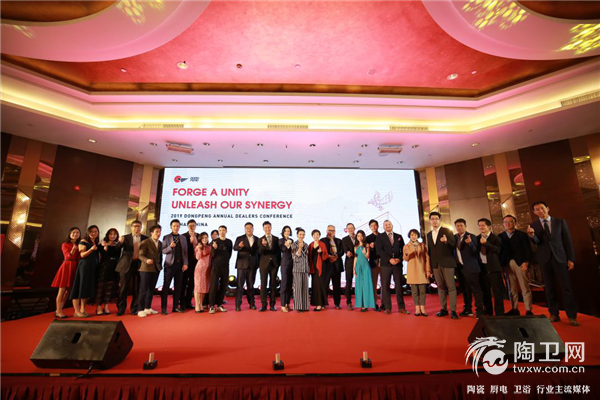 The exciting speech has exceedingly strengthened the confidences of all partners. 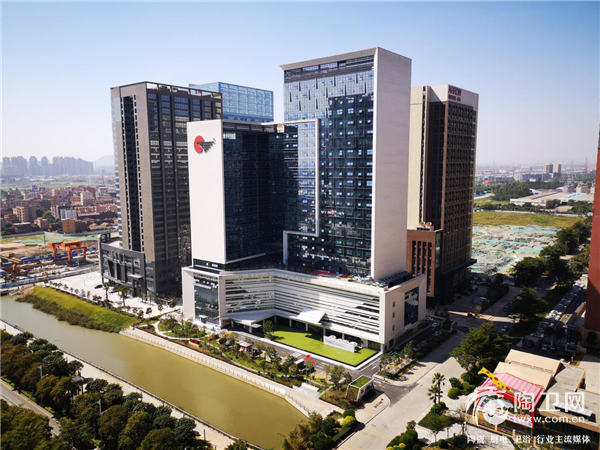 With 47 years’ development, Dongpeng Ceramic is committed to advancing globalization integration and achieving win-win outcomes for both sides. 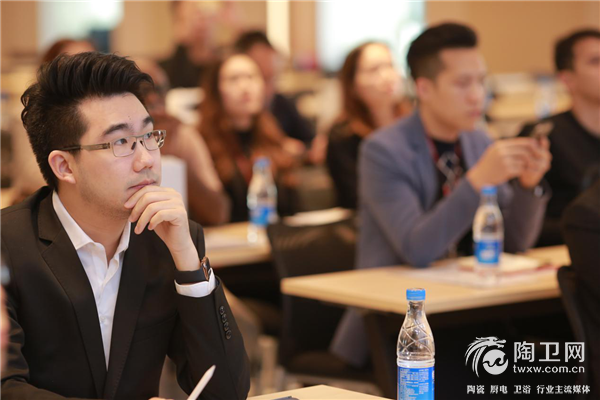 To achieve its goal of integrating global market, Dongpeng has been focusing on providing supports to distributors on creative design, training, valued-added services,world exhibition and other aspects. It is believed that these supports would help Dongpeng establish a shared platform for a brighter future. ▲Mr. Adam Dai, the Director of of MAXMARA & JA INTERNATIONAL PTY LTD. 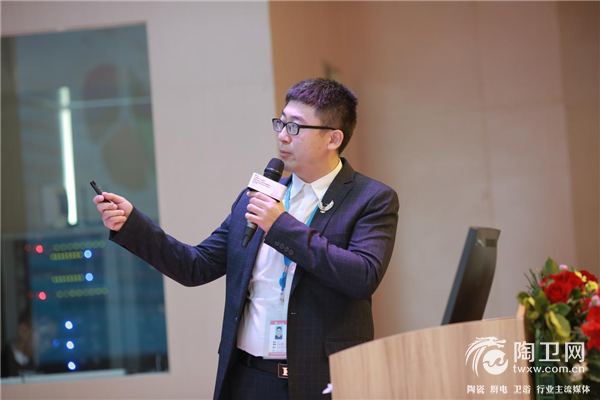 Among all excellent partners, one of the representatives was invited to deliver a speech,sharing the story about the cooperation with Dongpeng and the experience in dealing with Overseas development. The others also embodied their recognition to Dongpeng’s enterprise strength with warm applause or in other ways. In the spirit of inquiry and creation, Dongpeng devotes to producing new products,which is the primary drive of Dongpeng’s leading position in ceramic tile industry. 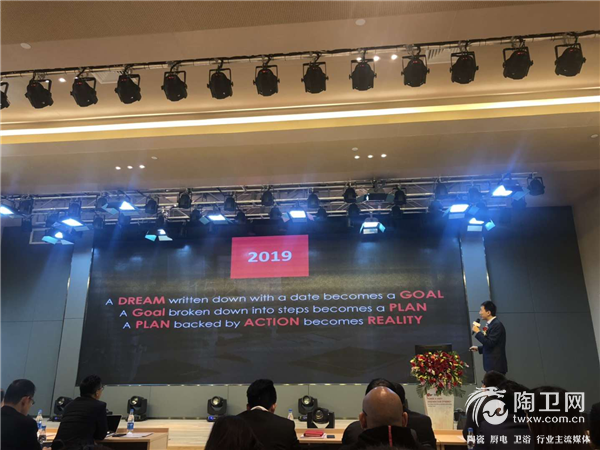 During the conference, an introduction and promotion for the major new products of Dongpeng International Department in 2019 was made. 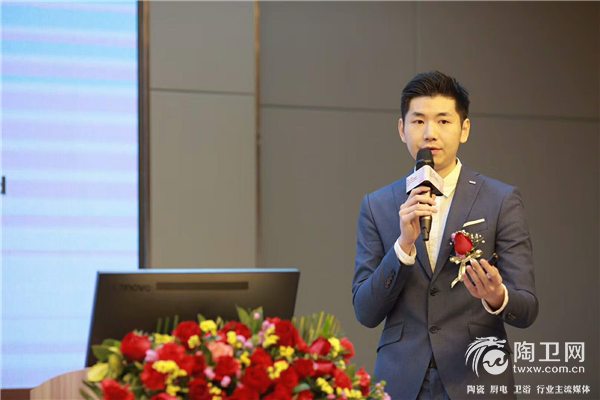 Dongpeng marble+ 4.0 made its debut in the conference. 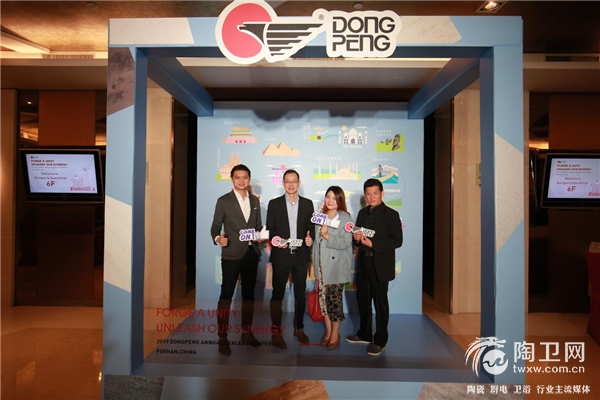 Meanwhile,Dongpeng launched ceremoniously an epoch-making product, Dongpeng Air-purification Tile. 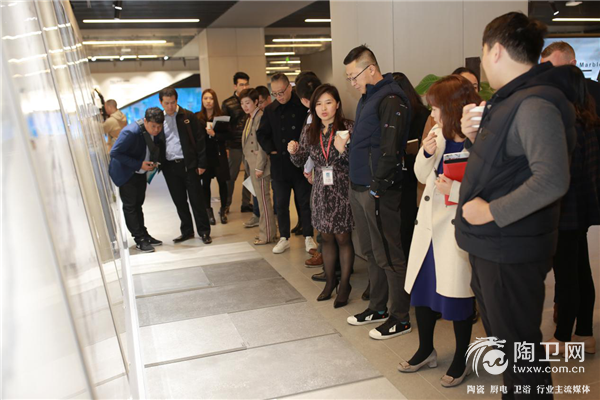 It was proved that Dongpeng Air-purification Tile could continuously produce negative oxygen ions, which can effectively purify harmful air composition such as formaldehyde, benzene, ammonia and TVOC. These new arrivals had greatly mobilized audiences’ enthusiasm and brought the conference to a new climax. ▲Malaysia partners present the roc carving to Mr. 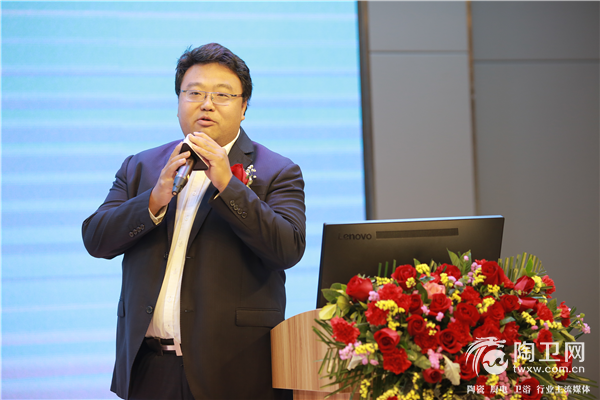 He Xinming, Chairman of Dongpeng Holdings Co.Ltd. 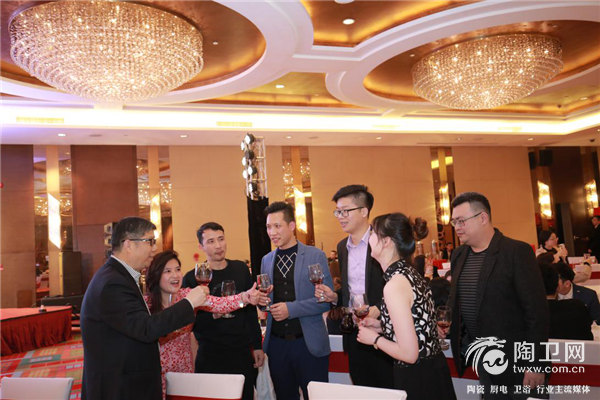 The gala dinner has started from 19:00 pm.All Dongpeng partners from around the globe and staff of Dongpeng International Department dressed up and attended this grand gathering. 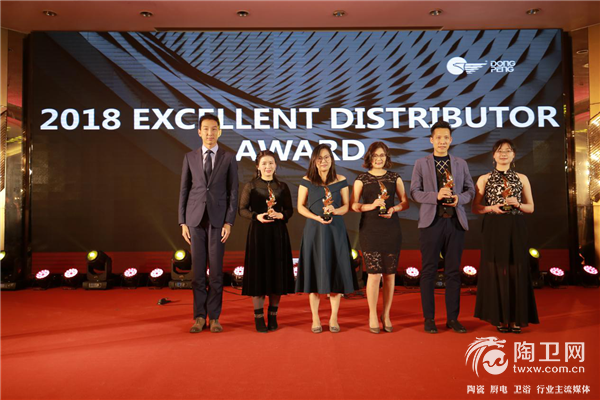 During the gala dinner, the award ceremony was held with the aim of expressing the appreciation to the achievement that Dongpeng partners have made in 2018. Four grand awards were set up. 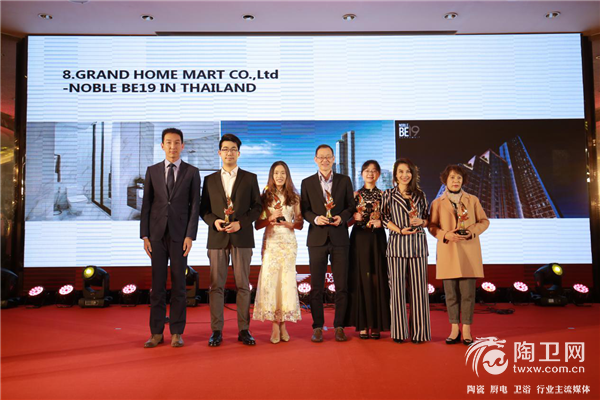 Mr. Wu Wenxin and Martin Wang awarded trophies to the following winners. 2. Elegant Decor Co., Ltd.
8.Grand Home Mart Co., Ltd.
1.Grand Home Mart Co., Ltd. 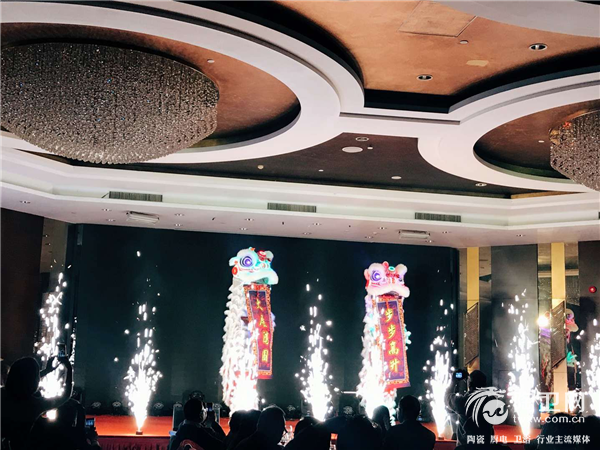 Accompanying the exquisitely prepared traditional programs with Chinese characteristics, the gala dinner was brought to a new climax. 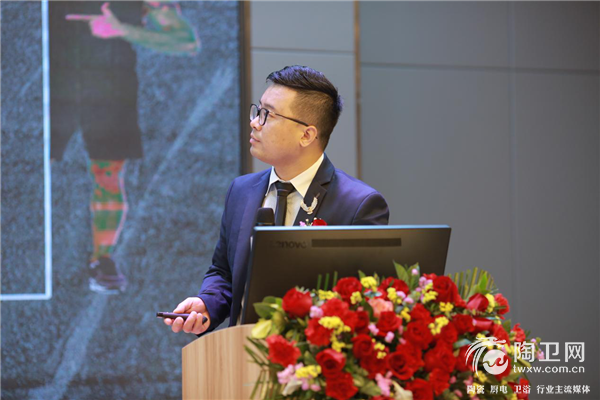 This year’s annual conference means a new start for Dongpeng. 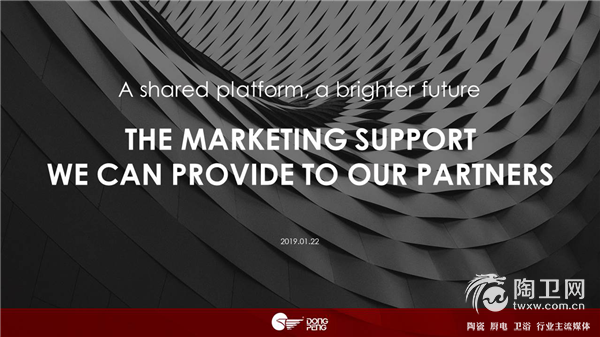 Based on the consensus that Dongpeng and its distributors have reached, Dongpeng would create more opportunities for global partners in the win-win situation by keeping closer cooperation.